This is the ninth track of Dr. Leonard Horowitz's Solfeggio Eclectica Album. This track follows the sequence of frequencies found in the six Solfeggio frequencies, and is one of nine (9) "Core Creative Frequencies of the Universe" according to Dr. Horowitz's research corroborated by several experts in physics and mathematics. 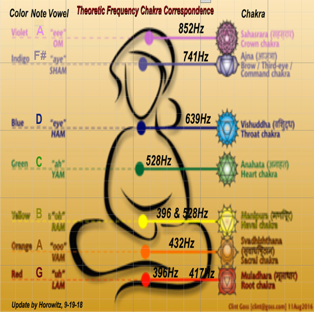 It is not yet known how the chakra system is affected by this tone and key. But it cannot be harmful, because this is a creative frequency, and not a destructive or dissonant tone, according to Dr. Horowitz. Click the button below to add the 963 Concerto - Composition in 963Hz (Mp3) to your wish list.